Richard Koh’s day job informs and has an influence on the type of art he collects. Surrounded by and working with a whole range of paintings and sculptures in myriad colours, textures and forms, in contrast, the charismatic gallerist’s personal art collection reflects a preference for minimalism and mood. “These are the paintings I’ve bought because they have triggered a memory, or an emotion for me. I don’t particularly care for how famous or “collectible” the artist is when I buy – as long as the work speaks to me,” describes Koh, who started dealing in art from 2005 through his eponymous gallery, and quickly became a familiar name in the art world for representing bold works by up-and-coming artists as well as established names in the Asian art scene. Now, his personal collection will be shown in Singapore, proudly presented by The Private Museum in conjunction with Singapore Art Week 2019. Of Dreams and Contemplation is the inaugural showcase of Richard Koh’s collection spanning more than two decades and reflects a multitude of his ruminations, personalities and interests through the works of 30 artists. Often referred by Koh as “Landscapes of Memory”, each work evokes a specific memory, a tangible reminder of a fleeting moment in his life. Mostly abstract and monochromatic, the works offer rare insights into Koh’s private contemplations – inviting the viewer to interpret and delve deeper. This collection is an exploration of his journey in the world of art and life, in public and in private, within Southeast Asia and internationally. Of Dreams and Contemplation features 33 works by artists whom Koh admires as well those whom he represents. Among them are pieces by Chinese artists who are part of the “apartment art” generation including Lin Tianmiao and Huang Rui, who is also the founder of Beijing’s 798 Art District. 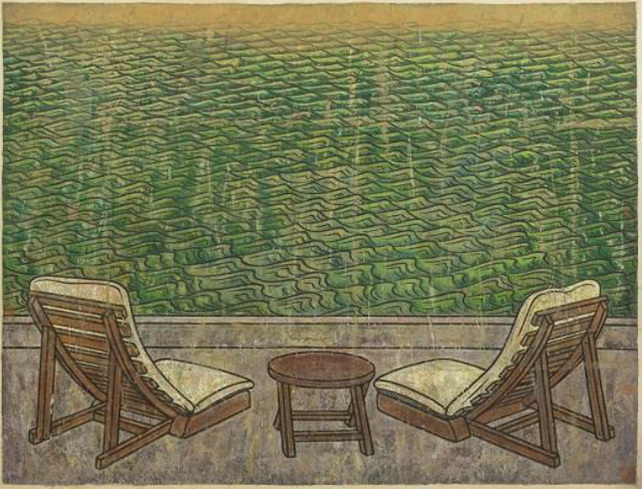 The show also presents works by contemporary Southeast Asian artists Sopheap Pich, Natee Utarit and Kedsuda Loogthong.